For the past two decades Didi Contractor has been passionately implementing her architectural visions in North West of India, the Kangra Valley, at the foot hills of the Himalayas combining rural traditions with modern requirements. This poetic documentary introduces us to her creations - houses built from clay, bamboo, slate and river stone, constructed in tribute to their natural surroundings. 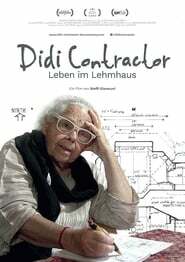 At the age of 86, Didi Contractor pursues her vision working day and night - dreaming her designs then designing her dreams. She sketches roughly, then proportions with pinpoint accuracy, the blueprints for economically and ecologically sustainability.